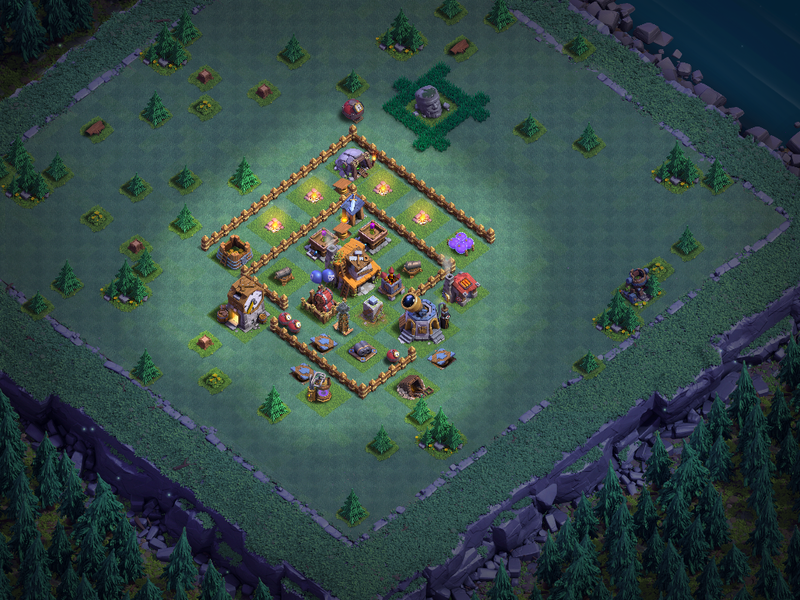 First and foremost - this game is definitely rusher friendly, but if you want to be successful, you need to take a pause at BH4 to max structures and get troops to level 8. Walls aren't so important; I just get them all to level 3 and I'll work on those later, after I max BH8. The reason I've decided to near-max BH4 is the boost it gives you when you get to BH5 and BH6. Most players at BH5 and BH6 that I encounter are weak on defense; we're talking level 3 point defenses, level 1 Crusher, Air Bombs, and Firecrackers.... They rushed to get as far ahead as possible and are in clean up mode. That was ok when the game first started but NOW, over a month in...? It can be a liability, but only if another player has positioned himself to take advantage of the weak defenses. That's where offense comes into play. Stronger offenses can beat up these hyper-rushed players. Likewise, if you have everything at level 4, their weaker offense (also hyper-rushed) will struggle something mighty. Of course, there are those players who have been able to get their games up to snuff; in that case, having your own game up to level 4 max values will be of obvious benefit as well. 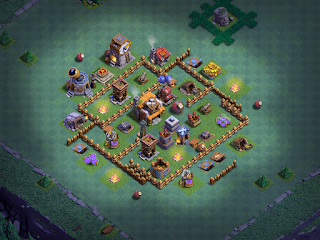 Right now, all resource buildings on ClashManiac are at level 4 as are all point defenses (Cannons, Double Cannon, Archer Towers). BH5 tends to be heavy on air attacks, so right now I'm working on getting Air Bombs and FireCrackers to level 4 (Air Bombs have another day and a half on them). I continue to attack, though, because there's not a whole lot of air action at BH4 at the present. That could change at anytime. So far, it's working pretty darn good. Almost every attack that has hit it lands squarely in the 40%-57% range and gets no better than a single star. I've been pleasantly surprised with the results so far. The other 6 games are progressing well also. The BH5 games are working on Baby Dragon (BD) level 10 after first taking Sneaky Archers (SA) and Raged Barbarians (RB) to level 10. Boxer Giants (BG) have been falling to the end of the upgrade cycle. To be honest, I've been mixing it up a bit with the upgrade order and I'm not seeing any significant differences in my ability to manage through the first week or so of BH5 whether I focus on BDs, SAs, RBs, or BGs. I struggled mightily with what to upgrade first in my lab at BH6. I *REALLY* want to get Night Witches (NW) maxed so I can start playing with them, but that's 23.5 days and a LOT of elixir. Like the BM, focusing on NWs would be to the detriment of the rest of the game and I just don't want to do that at this point. So...they've put on a back-burner and I'm working on what is one of the more OP troops - the Sneaky Archer. Level 12 SAs are definitely over powered; they sit there under their cloak of invisibility for an eternity. Toss a pari of them on a single structure and it's going down, down, down. The upgrade cost is 1.1M and 1.2M, 3 days each, so just enough time to save between. Baby Dragon level 12 is a tough customer as well, but he's more expensive and level 10 does just fine, even against BH6. At this point, I anticipate working on the next two levels of Beta Minions as soon as the Archers are done, if for no other reason than to be able to launch an attack of 40 Beta Minions. The offensive and resource structures of my BH6 games are coming along slowly but surely. Elixir is all level 6; gold is all level 5. The Star Laboratory is level 6. Traps/mines get an occasional upgrade in between other upgrades, so they'll be done piecemeal. The initial focus, after offense was on its way, was getting new structures evened up with their existing counterparts. Anyone who has followed my main-base rushing series will recognize this as my standard upgrade methodology - drop everything, focus on offense, even everything up, move things up to the next level. All point defenses are now even at either level 4 or level 5 and the second Crusher is upgrading to level 4 over the next 20 hours. This is one time where I jumped ahead on traps and mines; I brought those even with their counterparts (level 5) right away. Making the jump to BH6 early was absolutely the right decision. The way the game is playing out, BH5 was having a hard time competing with the new structures at BH6, giving BH6 players an offensive advantage (they had less to deal with). Moving up evened the playing field and suddenly BH6 players weren't so successful against my base and I quickly cruised back up to 3000 trophies. There's no real benefit in playing above 3000 trophies, so I'm just hanging out between 2900-3100 until SuperCell provides higher loot caps at higher trophy ranges. Most of the standard elements of the diamond base designs are present in this rendition. It's kinda flipped 180 degrees. So far, it's proven itself to be a solid base and I haven't suffered many losses, save for when I goof in my own deployment of troops. Definitely have to give a shout out to Jaso's bases; they're serving me well as I plow through the BH levels. Here's a link to the build on YouTube. As to the other games...just hit the clan tag and peruse them to get a handle on their progress. Like I said, they're moving along just fine, albeit a bit slower than I'd like, but that's the nature of this game. I'll check back in this week with some talk about play strategies, issues I see with the game, what I'm hoping we'll see in the near future, and another update. Until then...keep on clashin' on...!